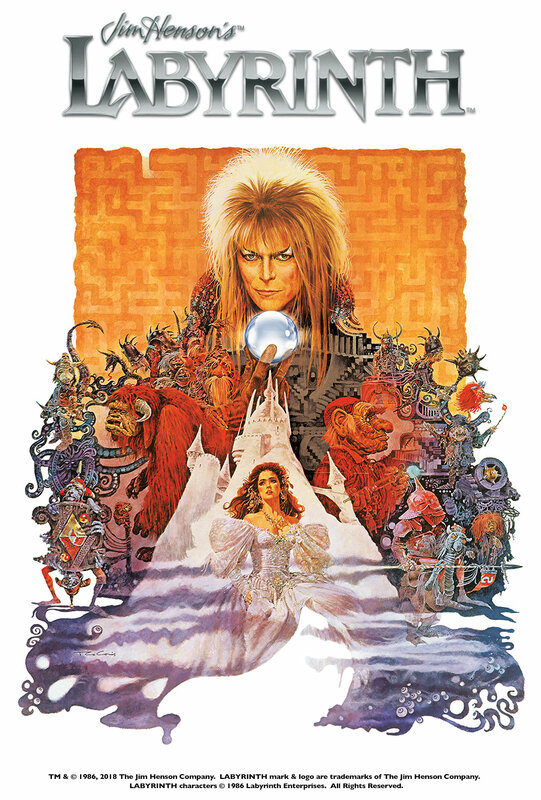 Journey into Jim Henson’s magical Labyrinth when the 1986 fantasy-adventure returns to the big screen for three days only as a nationwide fan celebration. 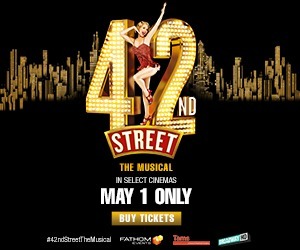 Audiences are encouraged to attend the screenings in costume to celebrate the nostalgia, music and legacy of this beloved film. 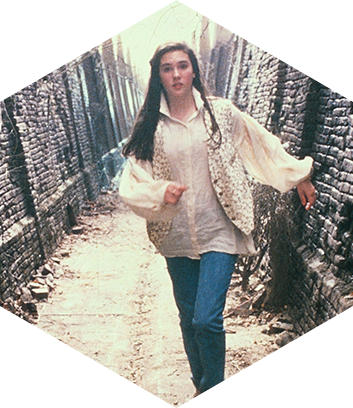 Frustrated with babysitting on yet another weekend night, Sarah (Jennifer Connelly), a teenager with an active imagination, summons the Goblins to take her baby stepbrother away. When little Toby actually disappears, Sarah must follow him into a fantastical world to rescue him from the Goblin King (David Bowie). Guarding his castle is the labyrinth itself, a twisted maze of deception, populated with outrageous characters and unknown dangers. To get through it in time to save Toby, Sarah befriends the Goblins, in hopes that their loyalty isn't just another illusion in a place where nothing is as it seems! 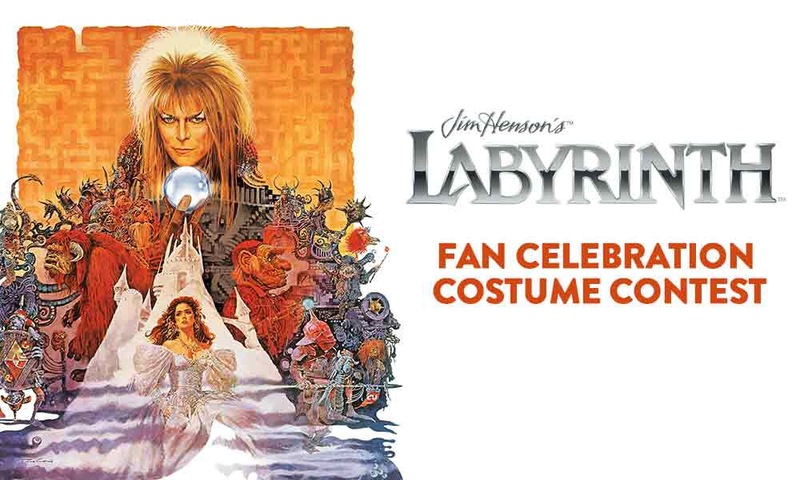 Labyrinth Fans - We want you to have fun at these cinema events – but safety is paramount. Please note that attending in costume is fine, however masks, face-concealing make-up, fake weapons as well as any costumes that conceal what you are carrying, your natural body shape or face are strictly prohibited. TM & © 1986, 2018 The Jim Henson Company. LABYRINTH mark & logo are trademarks of The Jim Henson Company. LABYRINTH characters © 1986 Labyrinth Enterprises. All Rights Reserved. 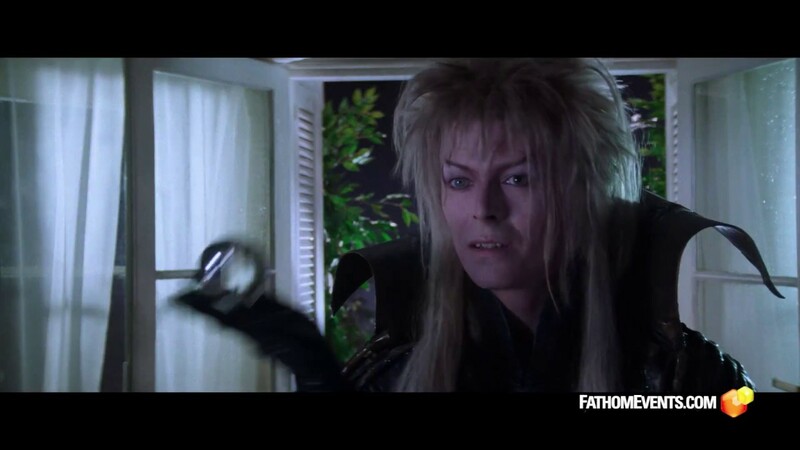 Jareth the Goblin King rules over the goblins from his castle beyond the Labyrinth in Goblin City. 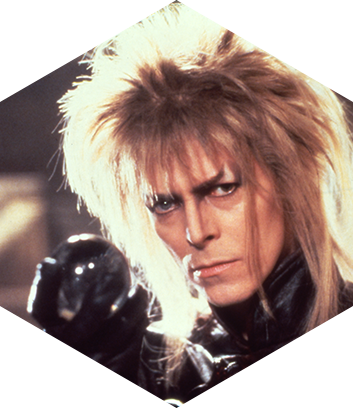 Jareth has a few fantastical powers at his disposal, including the ability to alter his form to that of a white owl aided by crystals and the ability to speed up time. Fifteen-year-old Sarah resents her baby half-brother Toby and secretly wishes that he would just disappear. Her wish comes true when goblins kidnap him. Feeling responsible and guilty about his abduction, she sets off to retrieve him and finds herself on the adventure of a lifetime. 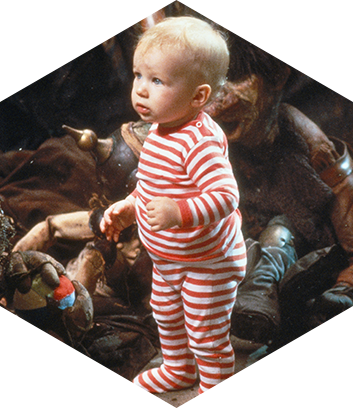 Toby is Sarah's one-year-old half-brother who gets captured by the goblins. Sarah considers him a terrible nuisance, and in a fit of temper she mistakenly wishes the goblins to take him away and she must make her way to the castle of the Goblin King to rescue him. 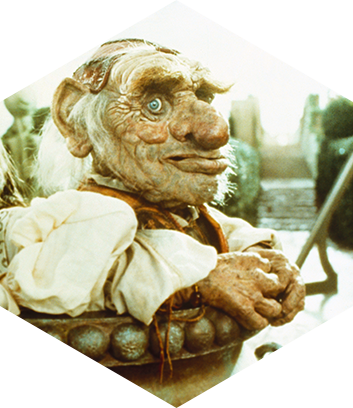 Hoggle is a resident of Jareth's Labyrinth. He has various odd jobs and hobbies, such as exterminating fairies and collecting shiny objects. At first, he acts cautiously toward Sarah when she tricks him into helping her through the labyrinth, but they develop a true friendship. 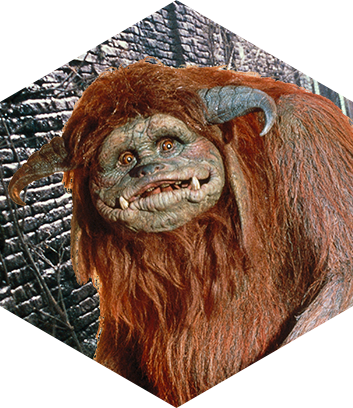 Ludo is a gigantic beast who looks monstrous, but has a gentle and playful nature, and is one of the few residents of the labyrinth who is not under Jareth's control. He is cowardly, but underneath he has a heart of gold and he becomes a loyal friend. 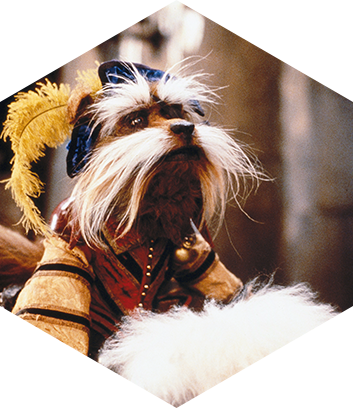 Sir Didymus is a fox-terrier who believes he is a great and chivalrous knight. He has a canine steed named Ambrosius and has the job of guarding the bridge that crosses over the Bog of Eternal Stench. He has taken an oath never to allow anyone to pass the bridge without his permission.